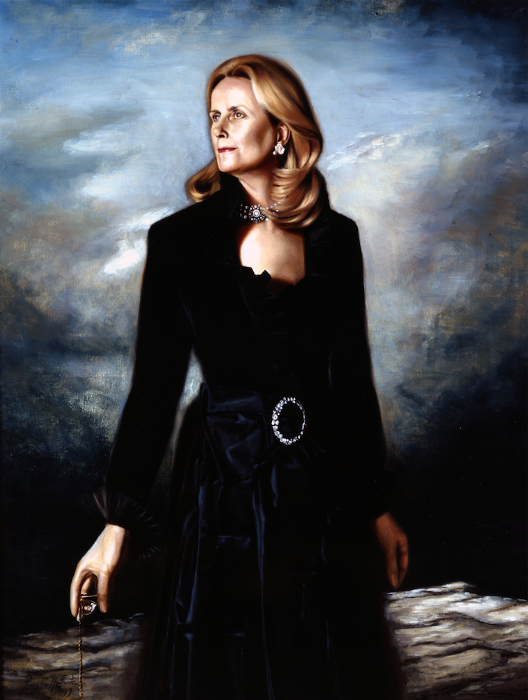 The black dress was loaned to the Duchess for the portrait by Birgit Kroencke wife of Sir Christopher Lee ( actor, Saruman in Lord Of The Rings and Francisco Scaramanga in The Man With The Golden Gun. ).. In the Sitter's right hand is a gold locket with The Duke's face, a close-up of my portrait of him from a few years earlier.